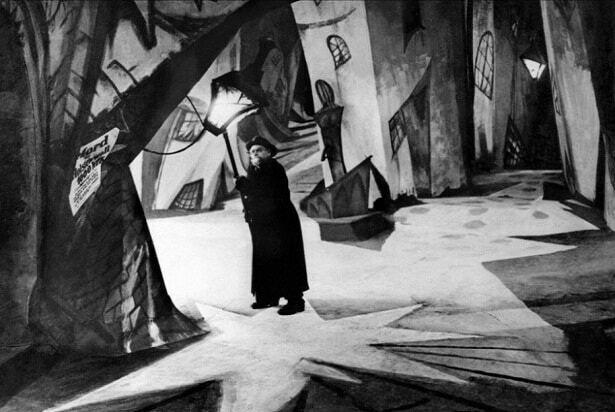 "The Cabinet of Dr. Caligari" (1920)A silent, creepy German horror film, "Dr. Caligari" is full of strange expressionist imagery. The story of a hypnotist who uses his gift to force a man to commit murders is considered a classic. 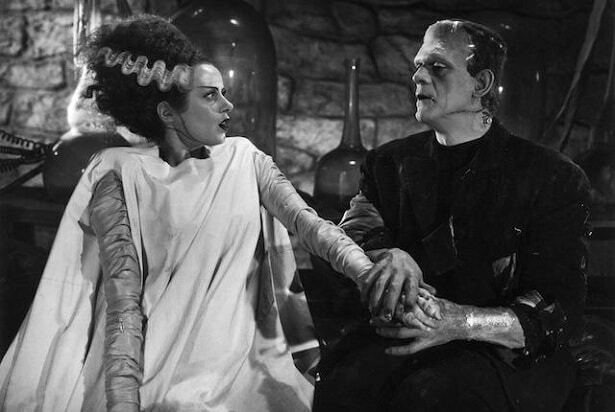 "Bride of Frankenstein" (1935)Frankenstein's monster needs a mate. That means murdering people and doing mad scientist in 1935 horror movie. It also invented some of the coolest hair ever on its way to becoming a monster movie classic. "Pinocchio" (1940)"Pinocchio" was produced in the early days before Walt Disney's name became synonymous with an animation empire. It's still counted as a classic in animation, and its major influence on pop culture seems fitting given how well-regarded it is by critics. "Citizen Kane" (1941)It makes sense that Orson Welles' opus would be sitting atop the heap with a 100-Percent Fresh rating. It's largely considered possibly the best film that's ever been made. "Singin' in the Rain" (1952)The classic Gene Kelly and Debbie Reynolds musical still captivates audiences. It was also one of the first films chosen for induction in the Library of Congress' National Film Registry. "Rear Window" (1954)Another Hitchcock classic thriller that enjoys the perfect percentage. Jimmy Stewart's paranoid panic about believing his neighbor murder his wife remains as unsettling today as it was in 1954. "Seven Samurai" (1956)Akira Kurosawa's classic movie about heroes coming together to defend a town inspired quite a few films after it. All that critical love and influence has caused it to consistently rank on lists cataloging the best movies ever made. "12 Angry Men" (1957)Set almost entirely in one room full of guys yelling at each other about the trial they're adjudicating is one of those movies that reminds you how the justice system is supposed to work. Its 100-Percent Fresh rating is just one of its accolades, and the American Film Institute considers it the second-best courtroom drama ever made -- after "To Kill a Mockingbird." "North by Northwest" (1959)Who wouldn't love a movie where Cary Grant almost falls off Mount Rushmore? "North By Northwest" isn't the only Alfred Hitchcock thriller that enjoys a 100-Percent Fresh rating, but it is the one with the most giant president heads. "The Lord of the Flies" (1963)A film adaptation of a novel about kids who get stranded on an island, "The Lord of the Flies" is upsetting. That's mostly because of the eventual child murders (and child murderers) that grow out of the lack of adult supervision. "Mary Poppins" (1964)The beloved musical starring Julie Andrews mixes animation with live-action performances, which is why it's still a huge favorite with kids and adults. It was acclaimed when it was released, snagging 13 Academy Award nominations and five wins, and is highly regarded enough today that Disney is working on a sequel, coming in 2018. "Cool Hand Luke" (1967)Nobody's as cool as Paul Newman was in "Cool Hand Luke." Fighting prisoners and testing the guards in a Florida prison, Newman's performance nabbed him a Best Actor Academy Award nomination. "Blade Runner (Final Cut)" (1982)Ridley Scott's sci-fi cult classic has several versions floating around in the world. It's the 2007 definitive that grabbed the 100-Percent Fresh rating, although Rotten Tomatoes only tallied nine reviews. "The Witches" (1990)Anjelica Huston and her witch coven friends really hate children. That's why they're planning to turn them all into mice in "The Witches," which still holds up as a funny children's movie -- especially thanks to its over-the-top, still-gross witch makeup effects. "Toy Story" (1995)Pixar ushered in a phenomenal era of animation with "Toy Story." It also showed off the possibilities of high-quality computer-generated imaging as an animation medium. "Toy Story 2" (1999)Landing one movie with a 100-percent Fresh rating is impressive, but Pixar did it again with its follow-up to "Toy Story." And it came extremely close once more with "Toy Story 3," missing the coveted pile of positive reviews by just 1 percent. 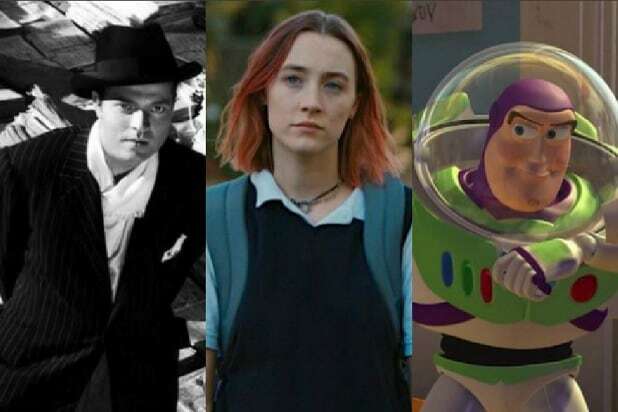 "Lady Bird" (2017) Director Greta Gerwig's coming-of-age story starring Saorise Ronan has officially become the best-reviewed movie ever on Rotten Tomatoes. It holds a 100-percent "Fresh" rating across 170 reviews, breaking the record "Toy Story 2" held at 164 positive reviews. Off the list: "Get Out" (2017)Jordan Peele's horror film is one of the highest-rated movies of the year so far, and carried its 100-Percent Fresh rating through 143 reviews. It only takes one bad review to lose it, though. It came from notoriously contrarian critic Armond White, whose 144th review brought "Get Out" down to (still-great) 99-Percent Fresh.